"...the best — and often the cheapest — way to maintain clean drinking water, healthy aquatic ecosystems...is to not allow them to be compromised in the first place." Over half of the population of BC has reclaimed their right to protect their watersheds from industry. Why can't we? Metro Vancouver (formerly the Greater Vancouver Regional District) receives its drinking water from three protected watersheds: Seymour, Capilano, and Coquitlam. Including off-catchment lands, the total area is approximately 58,000Ha. No residential, industrial, recreational, or agricultural activities occur in these watersheds, thus reducing the risk of source water contamination. 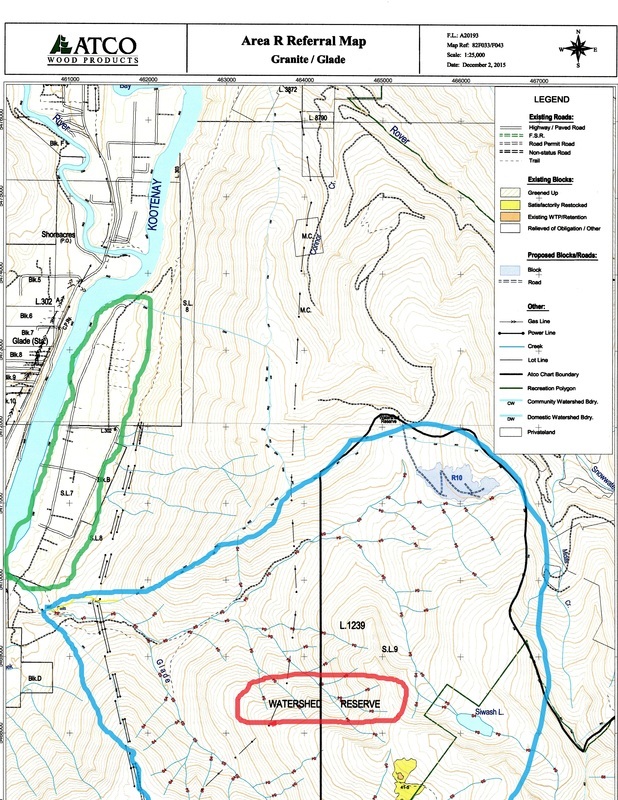 Glade Creek Watershed is 2977Ha, only about 5% of the size of the Vancouver watershed Reserve. See HERE for a PDF created by the BC Tap Water Alliance on the Greater Vancouver Watershed Reserve. Greater Victoria also receives water from a protected watershed. Between the 2 areas: Vancouver and Victoria, 59% of the BC population are fortunate enough to get water from an area protected for the sole purpose of providing clean, safe water to 2.5 million people. Through Freedom of Information, Glade Watershed Protection Committee attained documents regarding the tenure status of Glade as a Community Watershed Map Reserve. Glade Creek Watershed is listed clearly on various maps with the designation of 'watershed reserve'. Below are 3 maps that show Glade's status as a Watershed Map Reserve. #1 is the oldest, #2 is from the 70s, and #3 is from 2015 (ATCO). 3. ATCO Map dated 2015 with 'Watershed Reserve' stamped on it. Green outline shows Glade Community, the blue outline shows the Glade Creek Watershed. 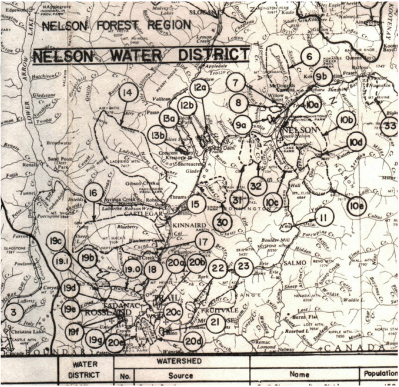 Glade is shown in government documents as being a Watershed Map Reserve, like this one from 1976, from the Water Investigations Branch to the Director of Lands. (A scan of one of the 1976 FOI documents shown below left). 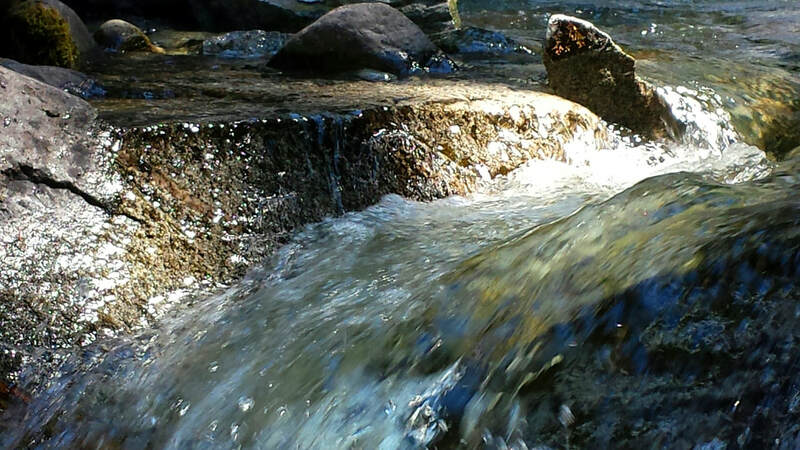 On August 30, 2016 Will Koop, coordinator at the BC Tap Water Alliance completed a 74 page preliminary report on the Glade Creek Watershed Reserve. It has since been replaced by a May 2017 publication of 141 pages 'The Second Preliminary Report'. 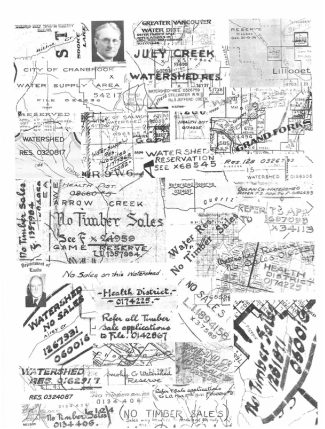 This detailed document traces the history of Glade Creek Watershed Reserve up to what is currently happening. 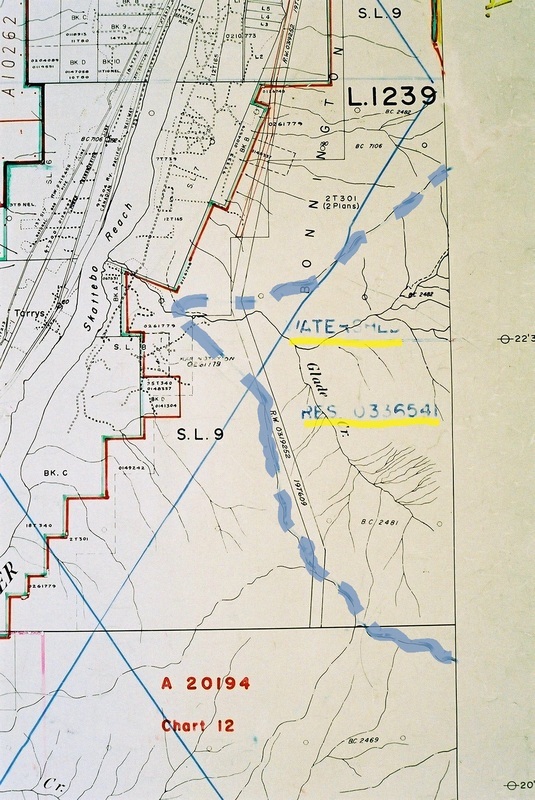 There are historical maps, current maps, and discussions of other watershed reserves in the Kootenays. Or download in two smaller parts. In an April 2016 meeting, the ATCO forestry manager stated when questioned, that the term 'watershed reserve' is a “misnomer” (a wrong or inaccurate name or designation). In the forestry manager’s email (April 2016) 'watershed reserves' were described as: The term 'Watershed Reserve' on the mapping is a very early mapping terminology which simply donates Community Watershed. The word Reserve in this term can easily be mistaken for an area where there is no logging. The term watershed reserve is a Lands Act term which is clear from the following explanation. To my knowledge, the term ‘Watershed Reserve’ would only apply to historical Land Act Reserves that were established over Watershed areas. This is exactly what could be maintained: That Glade was a Watershed Reserve applied during historical Land Acts and established over our Watershed area, and still valid today. But logging was, and is, a very powerful industry that makes a lot of money for BC. In the late 60s the logging companies began to look towards the great, old wood that grew in the watersheds: timber that they could access cheaply with high return, as they are doing today. The Ministry of Forests was largely responsible for changing the “single use” approach to community watersheds into “multiple use” and made claims that logging and community water could exist on the same plane and in fact, should do that. And then water, a right claimed by the people, slid down the list of priorities when stacked up against the rights claimed by industry. The Minister of Environment neatly sidesteps any involvement in protecting watersheds by stating in a letter to the Glade Watershed Protection Committee (July 2016): "As you are likely aware, the topic of logging falls under the jurisdiction of the Ministry of Forests, Lands and Natural Resource Operations." Even though she also maintains in the same letter that "protecting water resources in the province is of the utmost importance. Our current laws protect many aspects of the ways we use water for recreation, drinking and transportation. 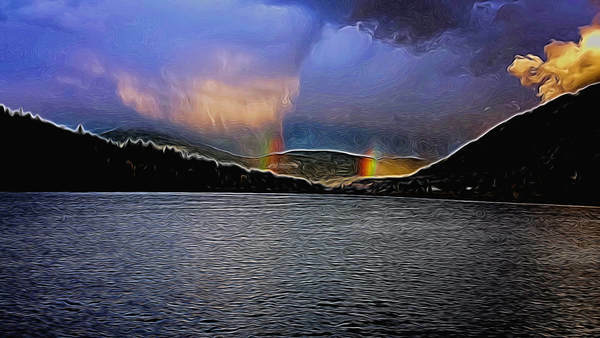 Our laws can also protect ecological values, such as healthy streams, lakes and wetlands."